Almost everyone loves the aroma and allure of a wood-burning fire. But like many things in life that require effort, with time the novelty can be replaced with “do I really need to haul wood into the house again?” Then the fireplace goes unused, and at Quadra-Fire, we think that would be a shame. If this is you, don’t fret! 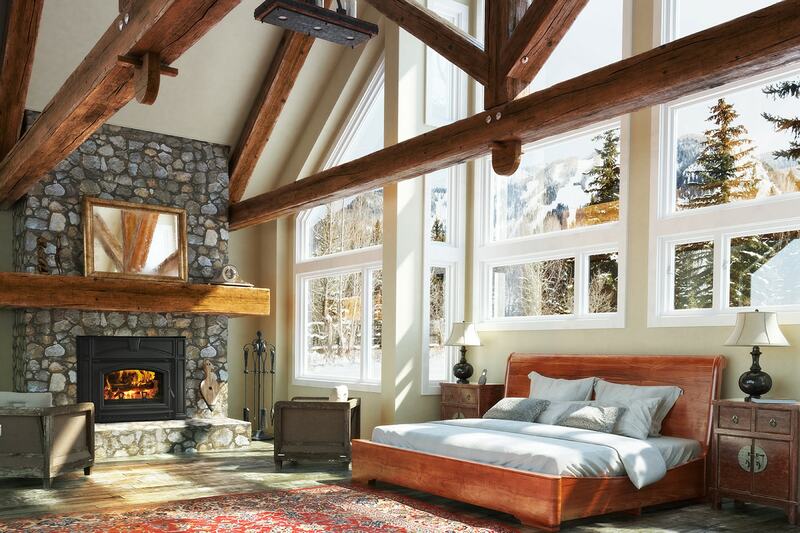 There’s another way, and it’s called a gas fireplace insert from Quadra-Fire. 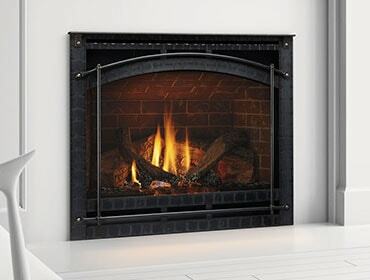 Gas inserts fit right into the firebox of your existing fireplace – and they’re convenient. Instead of hauling wood, you’ll “make” fires with a remote control or wall switch. Gas inserts burn propane or natural gas instead of wood – which means there’s no maintenance or ash to clean up. How easy is that? 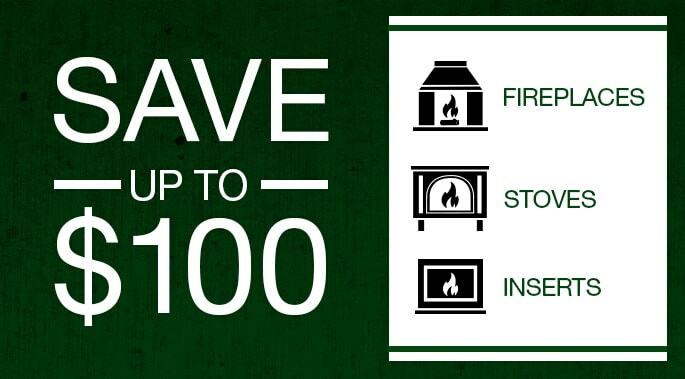 Open masonry wood-burning fireplaces are only -15 to +15% efficient – that’s really inefficient! In fact, every burning hour, they can exhaust as much as 24,000 cubic feet of warm air outside your home, and the draft they create draws cold air in through the doors and windows. 2. A gas insert turns this around, as many inserts are up to 85% efficient (steady state). They are super heat producers, and there’s no draft to draw cold air in! 3. Gas fireplace inserts are beautiful and will look fabulous in your home, as can be seen in this “before and after” home. Here, the homeowners chose a Quadra-Fire QFi30 gas insert and covered the white bricks with ledgestone. The transformation is, well, pretty amazing. So how does a person go about this, you ask? Installation is fairly simple, and a professional can do it in a day. A gas insert is installed or “inserted” directly into your fireplace’s opening, and the venting usually runs up your existing chimney. An insert is really a great way to breathe new life into your fireplace. So, what are you waiting for? Summer is the perfect time to have an insert installed, so it will be ready to warm when the fall season arrives. Check out all the options for Quadra-Fire gas inserts here.